Gene Rod­den­ber­ry had failed. Yes, he had been a World War II pilot who flew 89 mis­sions and had won the Dis­tin­guished Fly­ing Cross. Yes, he had pub­lished poems and sto­ries. And, yes, as a spokesman and speech­writer for the chief of the Los Ange­les Police Depart­ment, he had been suc­cess­ful in some screen­writ­ing for tele­vi­sion shows such as Naked City and Have Gun, Will Trav­el (win­ning an Emmy while doing so). In the mid-1960s, Rod­den­ber­ry began work on a sci­ence-fic­tion show that he pitched as Wag­on Train set in space. His orig­i­nal pilot was reject­ed by NBC as “too cere­bral”, but he was giv­en anoth­er chance and in Sep­tem­ber 1966 the first episode of Star Trek aired. Fea­tur­ing a diverse cast that includ­ed William Shat­ner, Leonard Nimoy and George Takei, the show fol­lowed the USS Enter­prise crew on its five-year mis­sion to “bold­ly go where no man has gone before” in the far reach­es of the galaxy. Although Star Trek found a loy­al cult fol­low­ing, it was can­celed in the sum­mer of 1969 after 79 episodes. Richard Zoglin (@rzoglin) in Time gives a great his­tor­i­cal account of “A Bold Vision: How Star Trek First Made It to the Screen” [link], What’s key is that Rod­den­ber­ry was so dri­ven by his vision for Star Trek that he did not give up even after the show was can­celled. This come­back sto­ry is well-told by Tim Bak­er in Newsweek [link]. Of course, in many ways, you prob­a­bly already know the rest of the sto­ry. While I was nev­er a fan of the show in the 1960s, it has been impos­si­ble to ignore the numer­ous tele­vi­sion spin­offs that have suc­ceed­ed the orig­i­nal Star Trek, the series of block­buster movies, and, of course, the wide­spread acco­lades afford­ed Roddenberry’s achieve­ments this year as Roddenberry’s con­cept cel­e­brates 50 years of pop­u­lar­i­ty. Even though sci­ence fic­tion has nev­er been my thing, I can­not help but feel like I missed out when it came to Star Trek. Too many speak of the series in the most august terms. Lau­rie Ulster says, “I dis­cov­ered the orig­i­nal Star Trek series in reruns when I was 10, and got hooked for life. The great­est thing about the show, for me, was cre­ator Gene Roddenberry’s rev­o­lu­tion­ary idea that one day, being smart would final­ly become valu­able.” [link] Then there’s Alan Henry’s (@halophoenix) thoughts expressed in “Every­thing I Know About Lead­er­ship I Learned from Star Trek” [link]. And Andrew Lip­tak (@AndrewLiptak) shows how the entire field of sci-fi was changed by Rod­den­ber­ry in “13 sci­ence fic­tion authors on how Star Trek influ­enced their lives” [link]. One can even find inter­est in Star Trek in the Shang­hai Rail­way Sta­tion, the source of our fea­tured image at the top of this page [link]. What’s that they say on tele­vi­sion adver­tise­ments: But wait, there’s more! 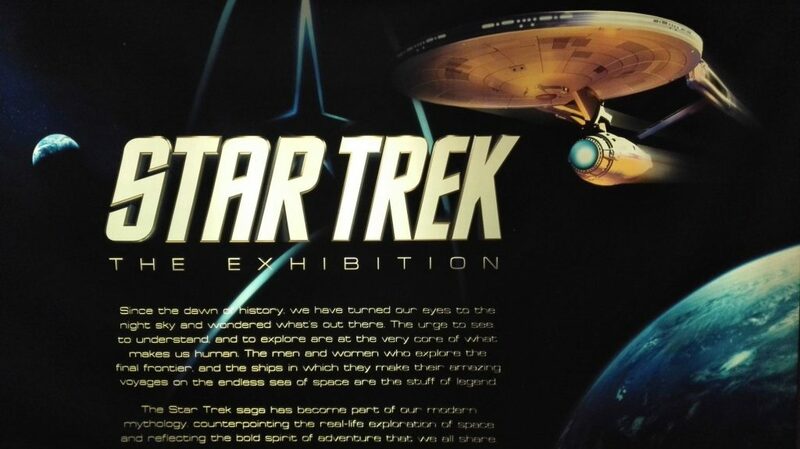 The US Cen­ten­niel Flight Com­mis­sion her­alds “Star Trek as a Cul­tur­al Phe­nom­e­non” [link]. Leif Wal­cutt in Forbes pro­files “7 Star Trek Tech­nolo­gies Avail­able Today” [link]. And Mun Keat Looi (@munkeatlooi) just pub­lished an impres­sive list of “all the tech­nolo­gies Star Trek accu­rate­ly pre­dict­ed” [link]. His list includes Blue­tooth tech­nol­o­gy, hyposprays, and Google Glass — he even lists the tech­nolo­gies intro­duced on the show that we are still wait­ing for! What can we take from all this as nextsens­ing lead­ers? Much. The series talked about a large group of peo­ple ded­i­cat­ed to a five-year mis­sion of explo­ration. Many firms would do well to embark on such a quest: Imag­ine how such an assign­ment would change you (and your organisation’s) think­ing about the future. First, such a chal­lenge would sure­ly start to over­come the plague of short-ter­mism that is hold­ing back so many today. It would also neces­si­tate that peo­ple begin to think beyond their sub-sec­tor indus­try; “space, the final fron­tier” can be inter­pret­ed on many dif­fer­ent lev­els! And, third, the idea of a firm being on an “expe­di­tion” engen­ders a strong sense of dis­cov­ery and pos­si­bil­i­ty. What moti­vates me most about the Star Trek point of view? While all of Roddenberry’s achieve­ments were in the fic­tion­al world, real com­pa­nies can move in real ways to cre­ate new, tan­gi­ble pos­si­bil­i­ties, which is what we are all about at The Nextsens­ing Project. Think­ing of the age-old debate about whether life imi­tates art or art imi­tates life, my sense is that, either way, both begin with human imag­i­na­tion. The bot­tom line is that once the human imag­i­na­tion is sum­moned, and direct­ed to a point some­where in the future, it changes out­comes. Is that not use­ful for lead­ers in the 21st cen­tu­ry? Let’s keep going where no one has gone before.